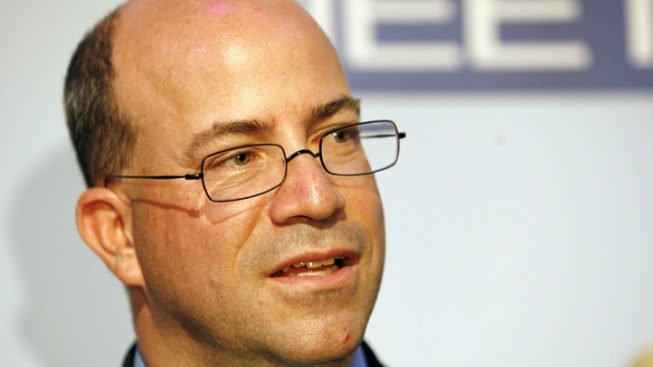 Jeff Zucker is taking the helm of CNN. CNN on Thursday named former NBC Universal chief Jeff Zucker as its new top executive, searching for a way to turn around the original cable news network as it has lagged behind rivals Fox News Channel and MSNBC. Zucker will start in January, based in New York and reporting to Phil Kent, who runs all of the Turner networks for parent company Time Warner. "I spent the most rewarding years of my career as a journalist, and it's where I look forward to spending many more," said Zucker, who shot to fame as the executive producer of NBC's "Today" show at the start of its morning dynasty in the 1990s. Zucker moved on to Hollywood as NBC's entertainment president, where he was less successful. He became head of NBC Universal, and while he couldn't turn around NBC, achieved great financial success for the company by overseeing its highly profitable cable networks. One of them was MSNBC, which has become more successful by appealing to a partisan audience, following the model of the market leader at Fox News Channel. CNN has steadfastly maintained a non-biased approach and its biggest issue has been the same as it has been for two decades: how to get an audience to stay with the network when there is not a big news story dominating the public's attention. While a great deal of attention has been paid to CNN's problems in prime time for its domestic network, Zucker will command a much larger and more successful portfolio, including HLN, CNN International and the CNN.com website. A CNN product is in televisions on some 265 million homes across the world. Zucker has been seen as the lead candidate for the job since his predecessor, Jim Walton, announced in the summer he was leaving. Zucker has spent the past year helping Katie Couric put her talk show on the air. "Jeff's experience as a news executive is unmatched for its breadth and success," Kent said. "He built and sustained the number-one brand in morning news, and under his watch NBC's signature news programming set a standard for quality and professionalism." Tom Johnson, president of CNN during the 1990s, said it was a "splendid choice." "I would hope it would be a return to CNN where news trumps all programming so CNN gets back to its basics of being a breaking news network," Johnson said.